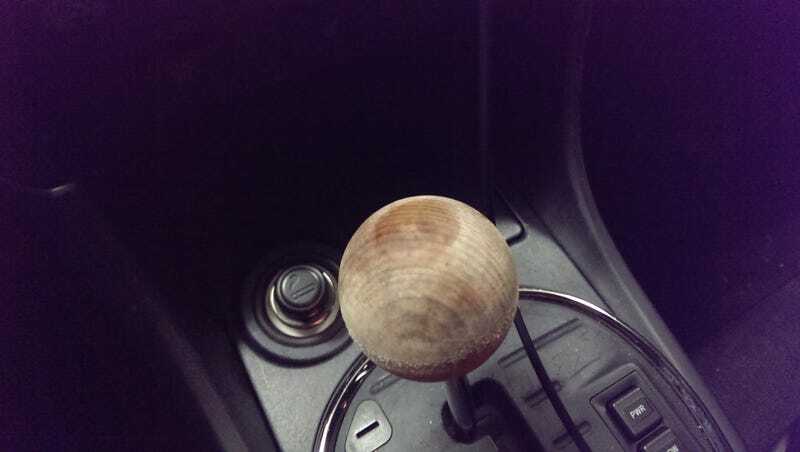 Found this shift knob on a Jeep at Pull a Part. Stained it. Now it needs to get lacquer'd so it'll be shiny. I know it doesn't fit with my car but I think it's cool anyway, heh.